Is Seaweed Good for Your Heart? One of our heart patients asked about a recent study boasting that you can beat heart disease by consuming food products with added seaweed. Whether it's seaweed or another food, it is a question that many people have - what really works? Like many other studies and diet recommendations published online, it's important to review the information and carefully evaluate any health claims. Here's some advice from Alicia Bosscher, a clinical nutritionist in UW Health's Preventive Cardiology Program, on making sense of interesting claims that come across your screen. 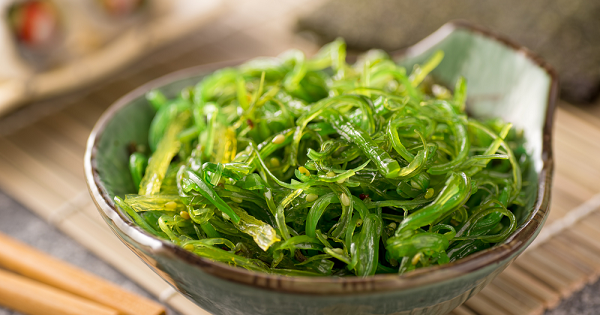 "Though seaweed is a healthy food choice for both consumers with and without heart disease, it is not going to help you beat or cure heart disease," says Bosscher, a registered dietitian. "While seaweed boasts an impressive nutritional profile including proteins, antioxidants, fiber and healthy fats, the study did not look at what happened to rates of heart disease when people ate more seaweed," says Bosscher. "That being said, it seems safe to recommend that people eat more seaweed, in the same way that we encourage more fruits and vegetables," she says. Bosscher recommends that instead of waiting until food producers add seaweed to processed, convenience foods, find fun, convenient ways to add it to your diet now. Nutrition advice and nutrition fads run rampant on the news and especially online. "It's exciting to see that so many people are interested in how to improve their diets, and registered dietitians are trained to help people sift through fads and nutrition advice," says Bosscher. "I encourage my patients to keep asking questions. If I don't know the answer or haven't read the latest article, I will educate myself and get back to the patient with my recommendations." Bosscher notes that there is no one food that is going to cure any disease. "Any cure claim, whether stated or implied, should raise a red flag in your mind," she says. It's important to think logically about what the article or diet fad is proposing and make sure it is backed by valid, scientific research. Consider recent fads like bullet-proof coffee (adding butter to coffee), chia seeds, acai berries, coconut oil and plant-based diets. Though saturated fat has been controversial in the media, the best research still says to limit saturated fat for heart health. So drinking coffee with butter and incorporating coconut oil (which has high saturated fat) into your diet is not a good idea. Some people suggest that virgin coconut oil is processed differently, making it safer for people with heart disease, but there is not enough research available to make the case. You can learn more about appropriate amounts of saturated fat for people living with or at risk for heart disease. On the other hand, adding plants, chia seeds, acai berries, beans, peas, lentils, whole grains, avocados, and other plant foods to your diet is a heart-healthy and uncontroversial idea. Remember that if it sounds too good to be true, it probably is! "I completely understand the desire to find 'the perfect diet', and it's already right in front of us. Eat real foods, as unprocessed and close to nature as possible, including lots of plants, and take care not to eat more calories than you burn each day," says Bosscher. If you have questions about different food, and don't have access to registered dietitian, visit eatright.org for thoughtful articles and information.